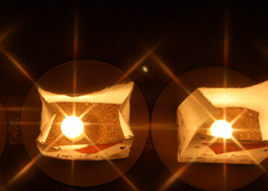 Luminaries not only light the track, but provide inspiration throughout the night. 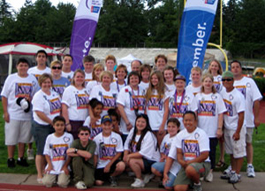 Click Here For Details On How You Can Honor Someone At This Year's Relay. 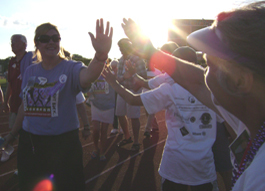 Planning is underway for our ninth year of participating in White Bear Lake's Relay for Life. If you are not familiar with the Relay for Life, our team camps out overnight and we each take turns walking laps around the track. We keep a member of our team walking at all times throughout the night. This event is a great opportunity for us to remember those we have lost to cancer and to celebrate the survivors. Each year it seems that our list of who we are walking in memory or honor of continues to grow. Watch our video tribute! Participating in this event is our way of helping the American Cancer Society's mission to eliminate cancer. Donations will help fund cancer research, cancer treatment programs and services as well as cancer education. 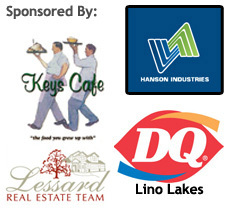 Interested in becoming a corporate sponsor for the Laps of Love Team? Click Here For Details.